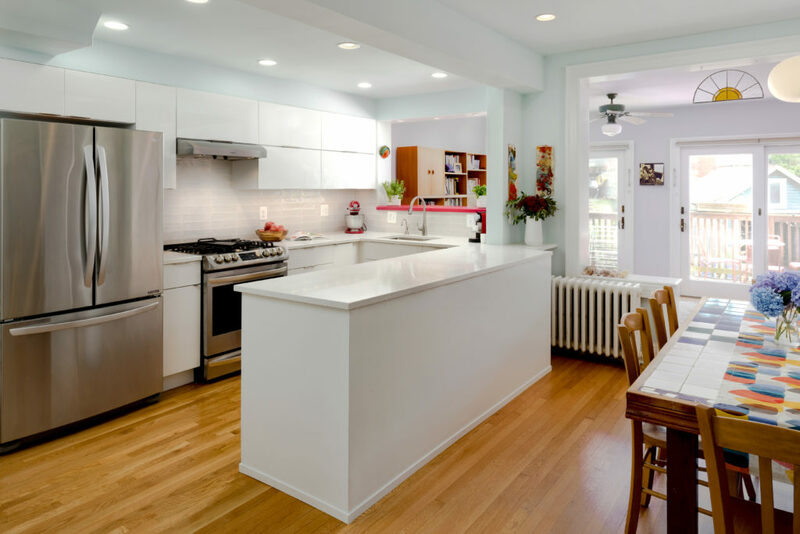 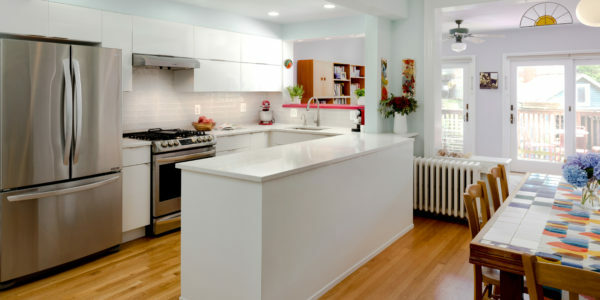 This small Glover Park kitchen lacked the counter space needed for a family who loves to bake, cook and entertain. 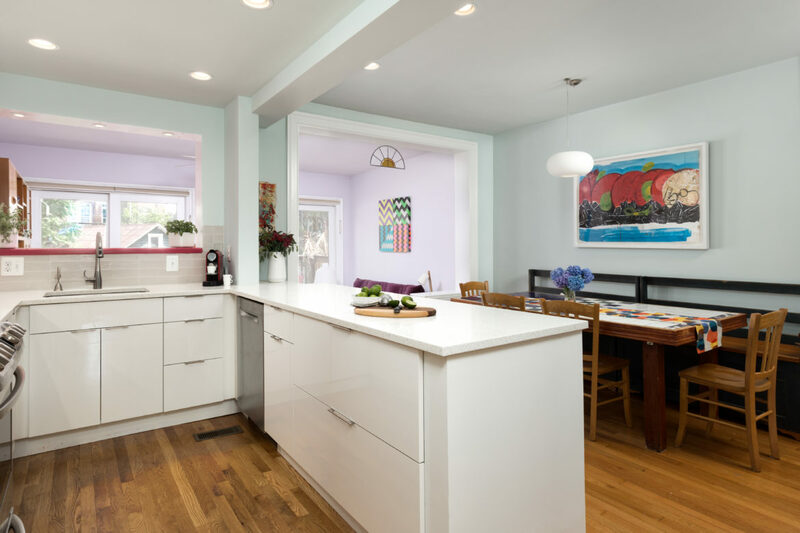 We replaced a small island with a large peninsula to provide much needed prep space as well as an area for dinner party staging. 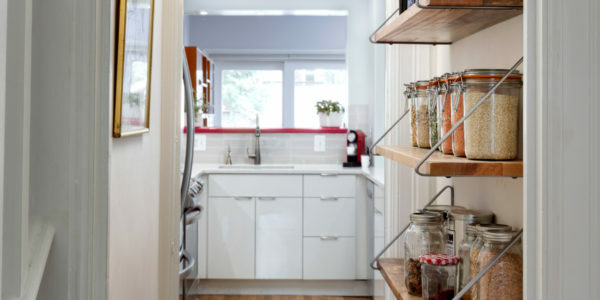 Relocating the sink away from the corner allowed for a larger sink and more efficient base cabinet storage. 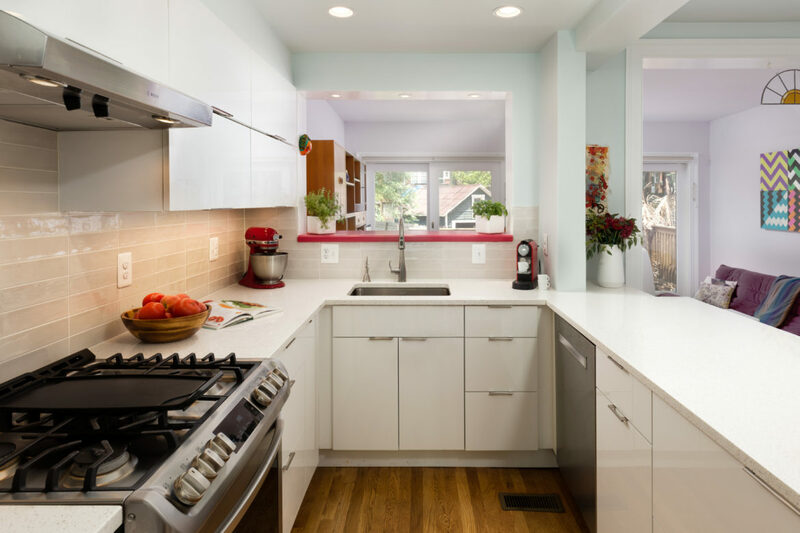 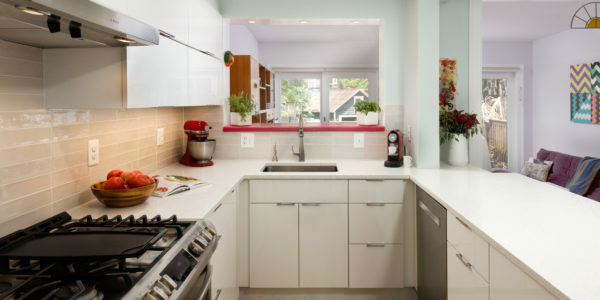 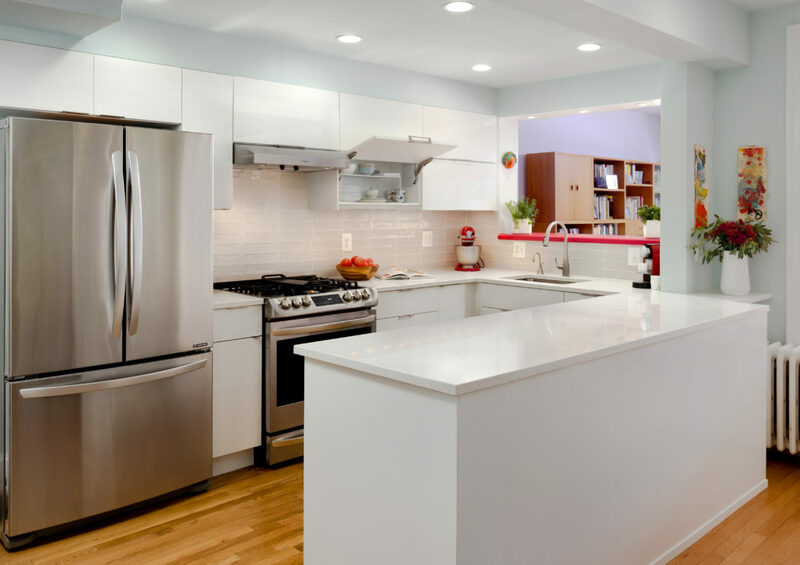 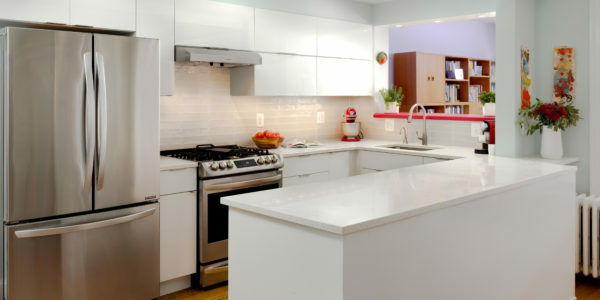 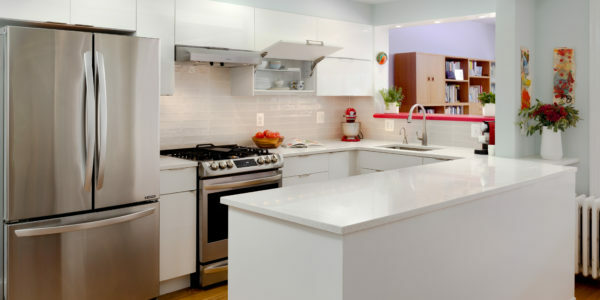 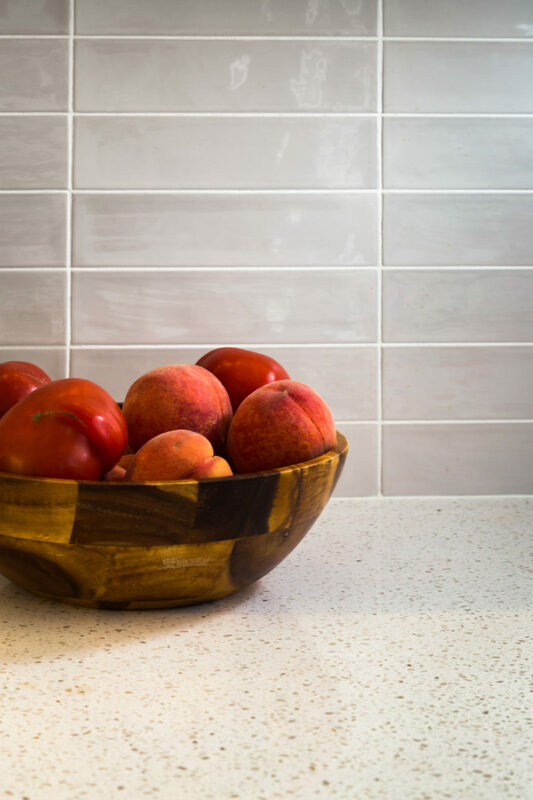 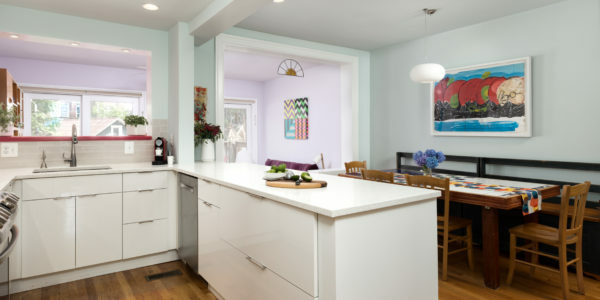 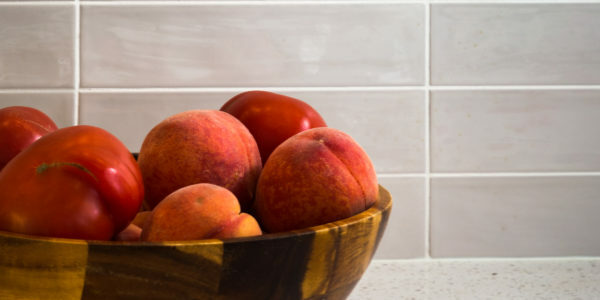 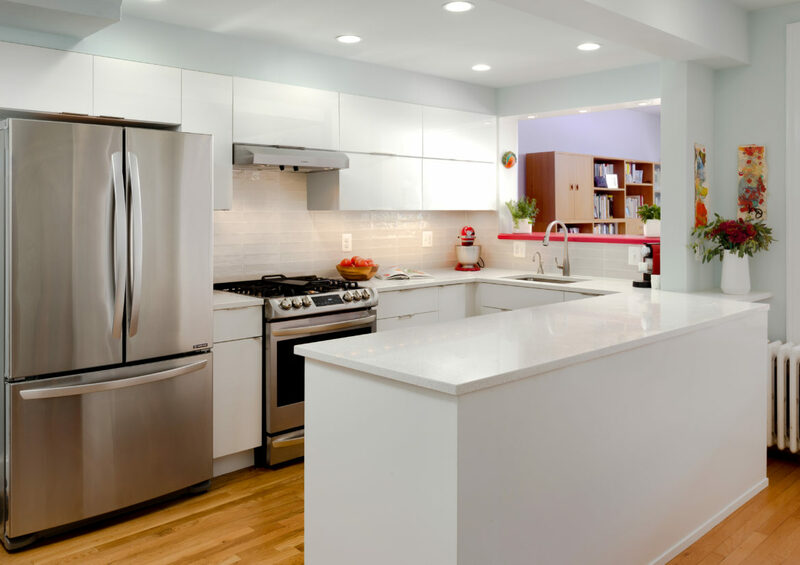 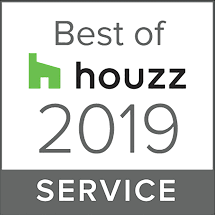 The streamlined high gloss cabinets paired with quartz countertops and elongated subway tile provide a sleek modern backdrop to the colorful and eclectic décor. 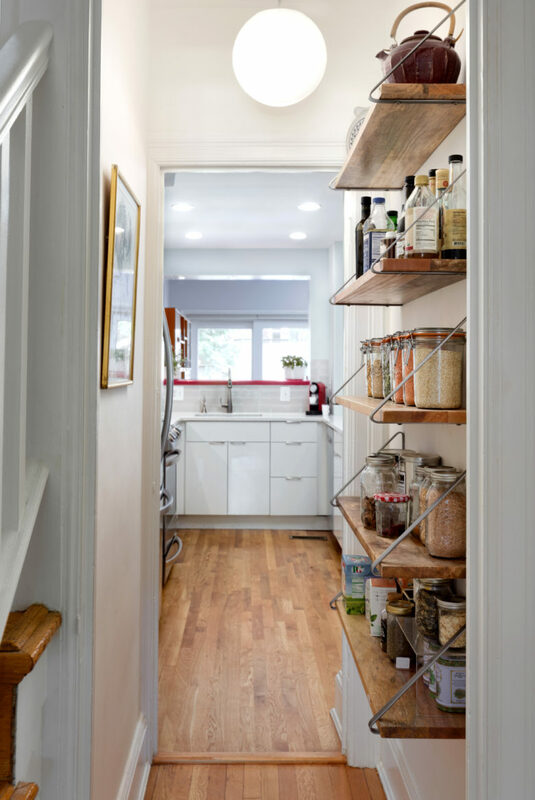 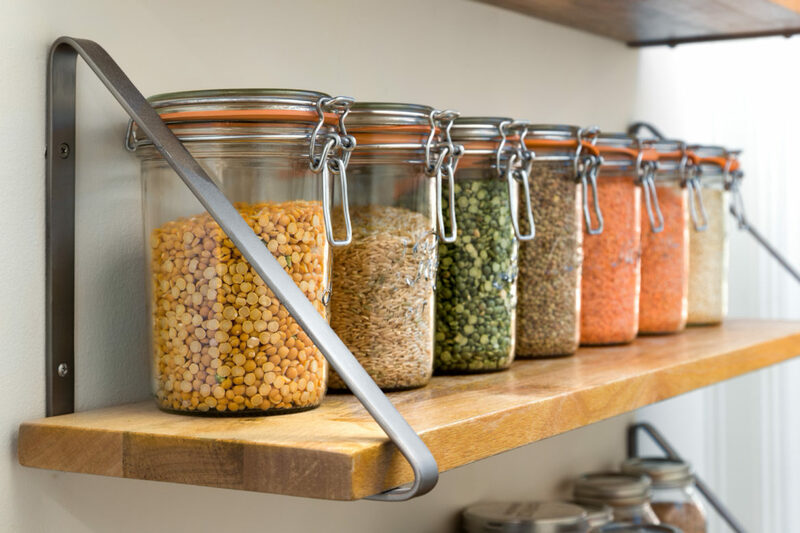 Floor to ceiling open shelves in a previously underutilized hallway provide additional storage that’s both visually interesting as well as functional.